HomeBlogHome DecorIngo Maurer Jetzt by Axel Schmid. 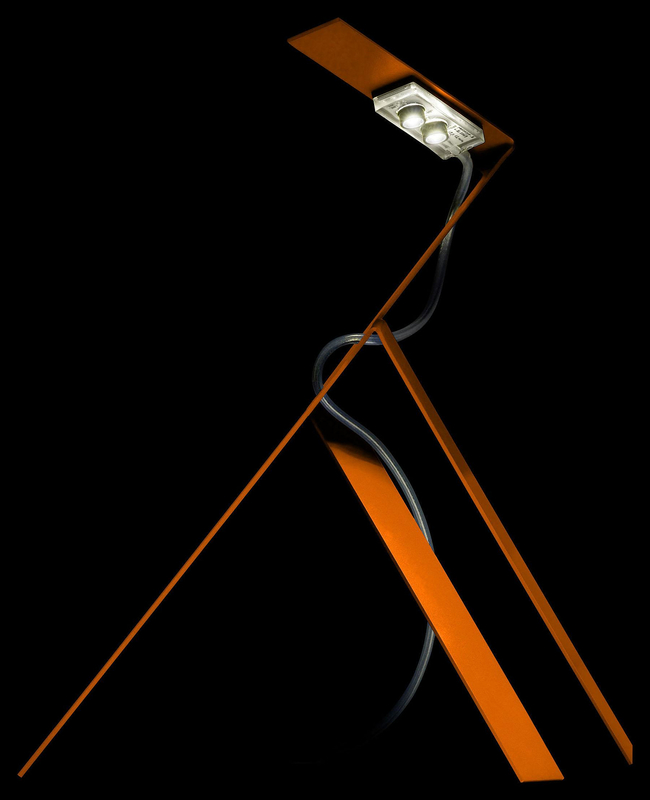 The Ingo Maurer Jetzt lamp designed by Axel Schmid is a contemporary table lamp with distinctive futuristic design and unique high-voltage LED technology. Its name derives from the German word “jetzt” meaning “now” in English. 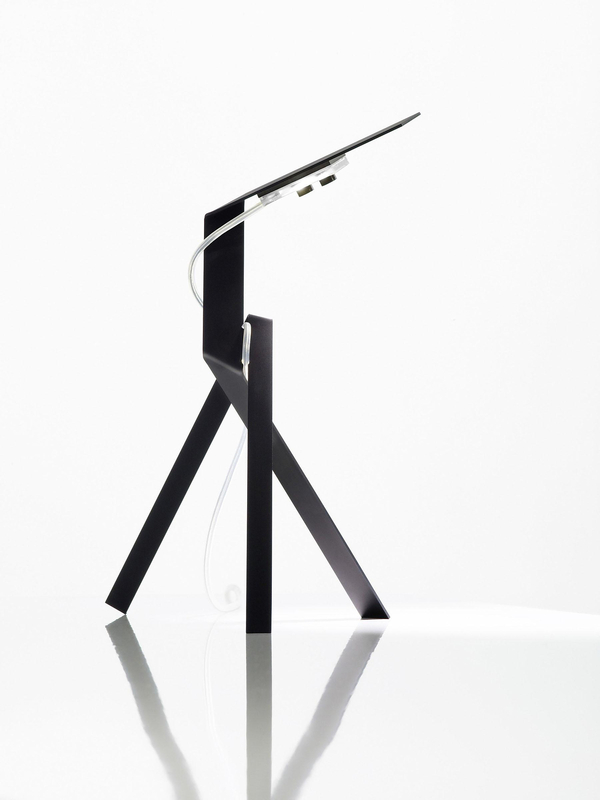 The base of the lamp is made from a laser-cut rectangular sheet of aluminum. 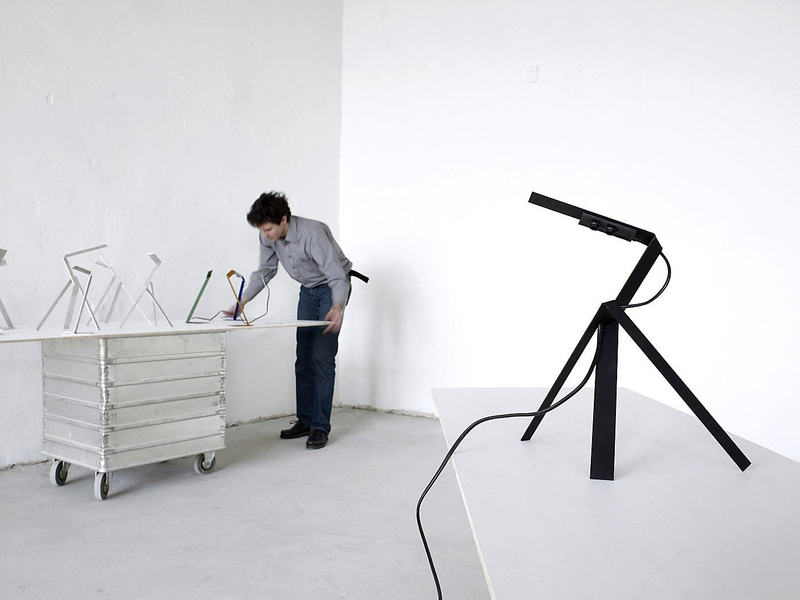 Three bending operations define the final tripod shape and as such there is no waste in material. The light source is composed of two LEDs cast into transparent plastic and glued directly to the anodized aluminum structure. The aluminum base acts as a heat sink preventing the LEDs from overheating. 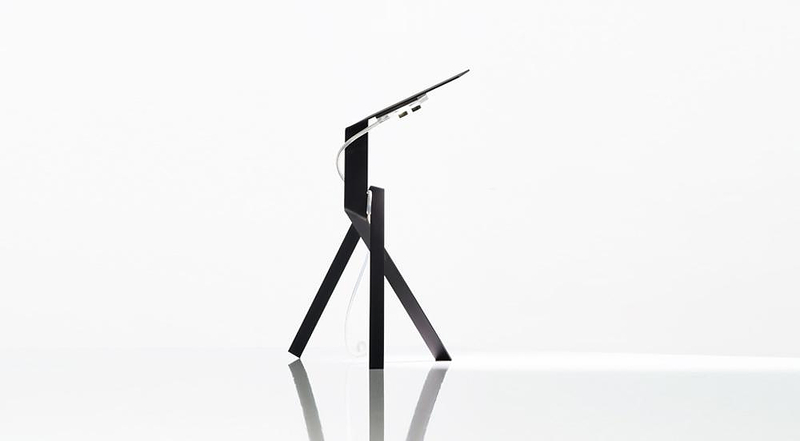 Ingo Maurer Jetzt is the first lamp that makes use of high-voltage LEDs. 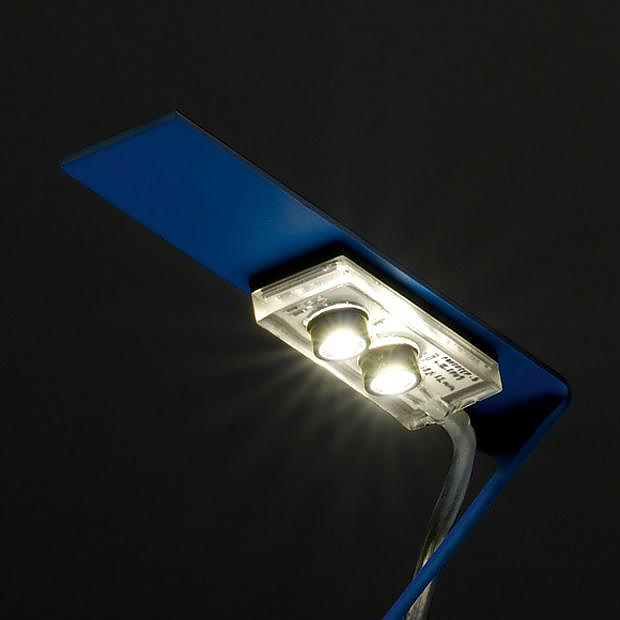 These special LEDs don’t need a transformer and they can drain high voltage current directly from the mains, through a simple power cord. This translates to increased energy efficiency and even less use of materials. 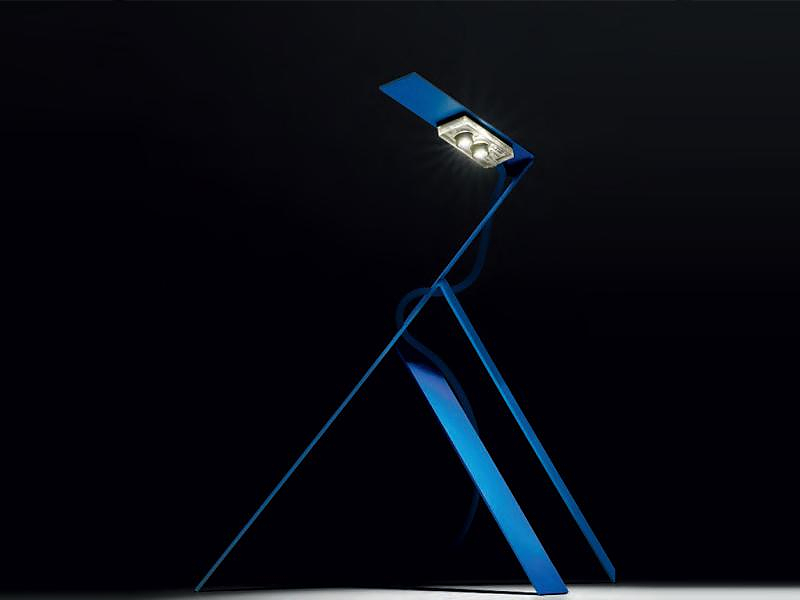 The Jetzt table lamp is part of the permanent collection of the Museum of Modern Art (MoMA) in New York. 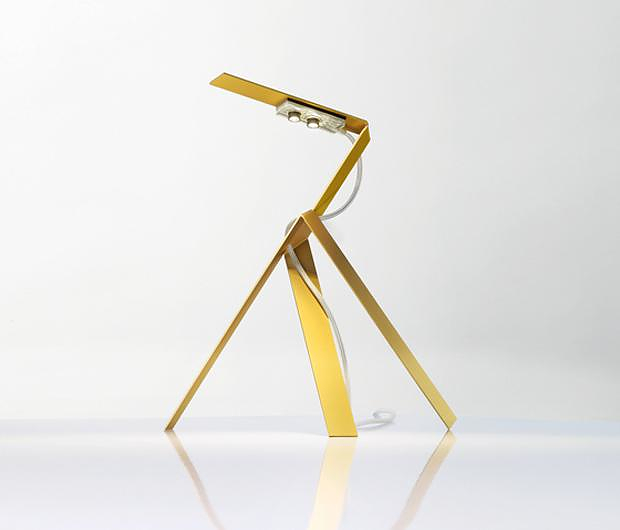 This very efficient design by Axel Schmid stands out for many reasons. Not only it is modern and utterly minimalist, but it also has a very strong ecological profile. 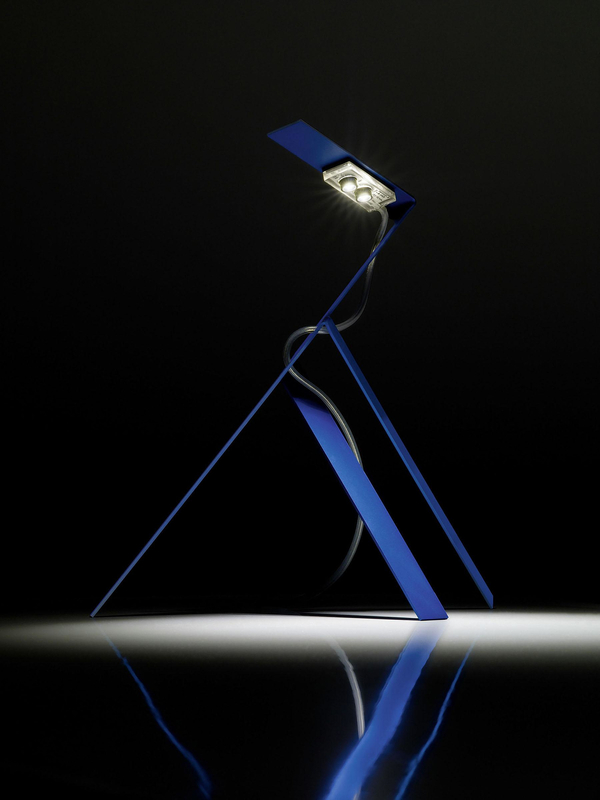 Low energy consumption by the lamp itself is only one aspect of this eco-friendly design. The other half of the puzzle is the economy of material, the efficient manufacturing process and the ease of recycling. 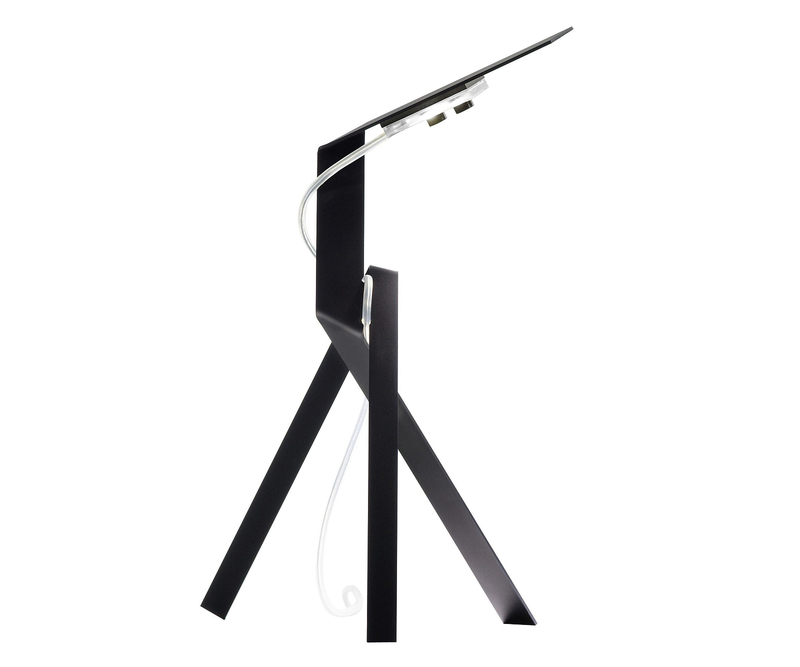 A great futuristic design that combines bold artistic styling (Ingo Maurer’s signature) with advanced technologies in the service of the environment.